Q1. Why do I need to clean my computer history? It has become important nowadays to protect your privacy especially if you are sharing your PC with someone else. You would definitely not want your boss, administrator, colleagues or family members to figure out what work you were doing or which sites you have visited. Your computer is like a recording machine that records almost all the activities that you perform on it like visited sites, typed URLs, cache, cookies, recently run documents and many more. History Clean helps you to clear all the traces of your recent activities on your computer and maintain your privacy even on shared computer. Q2. What are the main features of History Clean? History Clean is a privacy software program that works by protecting your privacy on your system. It also cleans Hard Drive of your PC from junk Temp files in addition with deleting history on your PC. This also helps your PC to not clog up and become prone to many errors related to registry and viruses. It lets you to clean up your computer history and delete all the traces of your activities on your PC. It can delete system history and as well as browser history. History Clean deletes recent document history, Clipboard data, Run history, Temp files, Windows search history and cleans Recycle Bin too. You can also delete browser history including typed URLs, cookies, Auto-complete forms, Index.dat, internet cache, download history, saved passwords and much more. You can also selectively delete or keep items that you want. History Clean is unique because instead of supporting only Internet Explorer it cleans the history on all major browsers like Opera, Firefox, IE, Google Chrome and Safari with a single click. Q3. What are the system requirements? History Clean works on Windows XP 32-bit, XP 64-bit, Vista 32-bit, Vista 64-bit, Windows 7, Windows 2000, and is compatible on all disk drives like FAT, FAT32 and NTFS. Q4. Do you provide free technical support to your product? Yes, we provide technical support to all our users. If you have any technical issue, you can contact us through our Contact us form. We respond promptly on all technical support e-mails, usually within 24 hours in weekdays. Please note that registered users always get priority support. Q5. What is the most convenient and recommended method to order? Q6. History Clean 2.0.0 & History Clean 3.0.0 Comparison? History Clean 3.0.0 is much better than any of its predecessors with additional advanced features as compared to older versions. We have launched History Clean 3.0.0 with an attractive and easy to use user interface that supports five browsers i.e. Internet Explorer, Firefox, Google Chrome, Apple Safari and Opera. The list of these browsers is dynamically populated i.e. the program can automatically figure out which browsers you use and depending on that it populates the browser list so that it helps you clean the history of these browsers. It works on Windows XP 32-bit, XP 64-bit, Vista 32-bit, Vista 64-bit, Windows 7, Windows 2000, and is compatible on all disk drives like FAT, FAT32 and NTFS. With More Options, you can easily manage cookies and typed URLs of Internet Explorer you wish to clean and that you wish to keep. Plug-ins options helps you to selectively delete history of different applications including Media Player, AVG7 Antivirus, MS Paint, Registry, Winzip, Yahoo Toolbar, Vypress Chat, Visual Studio 2005 Recent Projects, XN view Recent, Download Accelerator, MSN Messenger, Google Toolbar 4.0, Adobe Flash Player and WinRAR Files. All of your selected files and folders that you delete using History Clean 3.0.0 are unrecoverable because History Clean uses Secure Deletion techniques used in US Military to ensure maximum level of security. On General Options, you can choose either to load History Clean on Startup or run it on Windows Shutdown. You can also choose to send History Clean to system tray by clicking minimize button. Q7. How do I upgrade to the latest version? 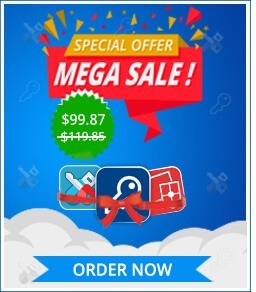 Please visit https://www.newsoftwares.net/upgrade.html and enter your email address with which you purchased our product and you'll get free upgrade for the minor upgrades of our products. If you are an older version user, you can get discount to upgrade your old version to the latest version of History Clean. To avail this discount, visit our homepage and click contact us. Q8. What is the History Clean's Plugins option? With plugins options of History Clean, you can selectively delete applications history including Media Player History, AVG7 Antivirus, MS Paint, Registry, Winzip, Yahoo Toolbar, Vypress Chat History, Visual Studio 2005 Recent Projects, XN view Recent History, Download Accelerator History, MSN Messenger History, Google Toolbar 4.0, Adobe Flash Player and WinRAR Files History. This area can be accessed by clicking More Options > Plugins. Q9. What is File Shredder? History Clean is a File Shredder software program, means it shreds files and folders beyond recovery. With History Clean you can delete files and folders from your hard drive without fear they could be recovered, because History Clean secure deletes files and folders that cannot be retrieved even by using Military or Government standards. Q10. What is Secure Deletion? History Clean uses Secure Deletion technique to ensure maximum level of security. This type of deletion level uses military DOD specified deletion routines to overwrite your files 20+times with random bit patterns to ensure unrecoverable removal of files and folders. Q11. What is Clipboard data and how can I remove it with History Clean? Clipboard data refers to the items that you have collected using the copy/cut feature of the windows, clipboard keep this data so that you can paste them as you need it. With History Clean, you can clear all of your clipboard data very easily. Run History Clean and on the Window cleaning section, check the 'Clipboard Data' box and click 'Clean'. Q12. How can I clean recent document history, run and search history, recycle bin and temp files? When you run History Clean, Windows cleaning section will open by default or click the Windows Cleaning option by clicking the 'Cleaning' tab in the left pane. Here you will see all of these options. Simply check the boxes and click 'Clean'. Q13. How can I clean Browser history? Run History Clean, and click 'Browser Cleaning'. New version of History Clean can clean up history of different web browsers including Internet Explorer, Mozilla Firefox, Google Chrome, Apple Safari and Opera. List of these web browsers is dynamically populated. Simply select the browser and History Clean will show you all the related options for that particular browser, select your options and click 'Clean' to clean browser history. Q14. How can I customize cookies and typed URLs of IE? For Internet Explorer users, History Clean offers IE Exclusion options to manage typed URLs and cookies of IE. You can customize typed URLs and Cookies either through browser cleaning section or 'More Options'. Click Internet Explorer in browser cleaning and you will be able to see two 'Customize' buttons in front of Typed URLs and Cookies. History Clean will provide a list of all Cookies and Typed URLs when you click 'Customize'. Select Cookies/URLs which you do not want to delete, and add them to Cookies Management > Cookies to Keep section or click URL Management > URLs to Keep section and then click 'Clean' in the Cleaning option of IE to delete remaining URLs and Cookies. Alternatively when you click 'More Options', you will find two tabs called 'Cookies Management' and 'URLs Management' under IE Exclusion options. Select the tab that you want to manage and then add your desired cookies and URLs to 'Cookies to Keep' and 'URLs to Keep' list respectively. To clean cookies history and URLs in 'Cookies to Delete' and 'URLs to Delete' List click 'Clean'. Q15. How can I clean history of applications and different software that I have installed on my PC? History Clean deletes history of different software and applications. List of applications and software is available under 'More Options > Plugins/ More Cleaning'. To clean an application's history by checking the application and click 'Clean'. You can select all of the applications by clicking 'Select All' or discard them by clicking 'Deselect' if you wish to perform cleaning operation for the history accumulated by multiple applications you may have on your PC. You can delete history of Media Player, AVG7 Antivirus, MS Paint, Registry, WinZip, Yahoo Toolbar, Visual Studio 2005 Recent Projects, XN view, Vypress Chat, Download Accelerator, MSN Messenger, Google Toolbar 4.0, Adobe Flash Player and WinRAR Files using this feature. Q16. How can I use Shredding feature of History Clean to delete files and folders securely? Using Shredding feature of History Clean is very easy and simple. To delete files and folders securely click 'Secure Deletion', and simply add files or/and folders by using 'Browse Folders' and 'Browse Files'. To delete selected files and folders, click 'Clean'. Please remember that all of the files and folders that you delete using Secure Deletion feature of History Clean cannot be recovered even by using any data recovery software therefore think twice about what you are doing. Q17. Can History Clean remove my files automatically when I shut down my computer? Yes, History Clean can remove history of all your browsers and Windows automatically every time you shut down your computer. To enable this option, click 'General Options' on the left pane and check the box 'Run Cleaning Operations on Windows Shutdown' and click OK.
Q18. Are there any bugs in the software? How do I report a bug? Q19. Is History Clean free or Shareware? History Clean is NOT freeware! It is shareware, which means you can try it before buying. We give you 15-days trial so that you can test the program and check whether it is useful for you or not. If you find it useful and want to keep it, register your copy and get a full version registration key via email in minutes..
Q20. How can I use this program after the trial period? You will have to buy a license to use History Clean for unlimited times. Q21. Can I buy the program without first trying the evaluation version? Q22. How can I suggest a new feature for the future releases? Q23. Q23. What's the difference between trial and full version? What are the benefits of registering? A Full version to download that does not have any trial limit. No trial reminders, no functionality limits. Free Upgrades to all 3.x versions of History Clean. Ability to clean unlimited data for unlimited period of time. Ensures complete privacy leaving no future headache. Total peace of mind from security leaks and breaches of privacy. A personal Thank you message from the developers of the product. Sure. You can use either your credit card or Paypal to buy the full version of History Clean online. Click the 'Register' button on the bottom left and then click 'Buy Online'. It costs only $25 to own a full version of History Clean. Please note that this is a limited time offer. Prices can go up unexpectedly. Q8. Can I buy an academic license? Or a site license? Q9. Can I send you the cash or the check through postal mail? Q10. Do you guys accept cash currency of my country? Q11. How many licenses must a single-user buy for multiple computers?